The first thing that comes to mind when someone hears the words, “Paper rolls” are paper towels or tissue. While it may be true that those items do come in rolls and we do use them around the house, in turn, the phrase “paper roll” has become a household phrase. 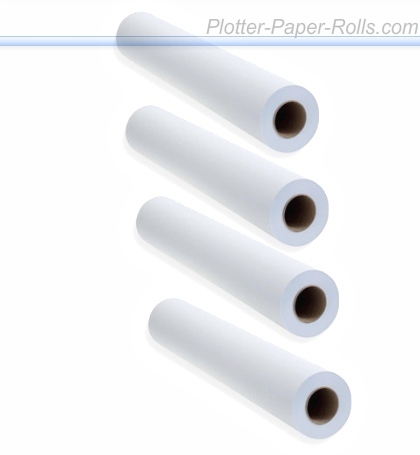 It is the phrase “Plotter Papers Roll” that means something is about to be created. Popular sizes in paper rolls are the 4 in, the 8.3 in, the 8.5 in, the 10 in and the 13 in. 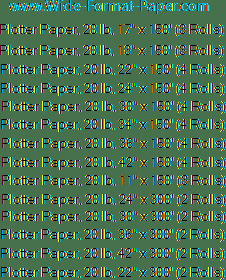 Plotter Papers rolls, have two categories that they could be put into. Those categories are best defined by the core size of the paper roll. You have two choices (hence 2 categories) = 2 inch core (for Inkjet plotter paper rolls) and 3 inch core (for engineering plotter paper rolls). “Inkjet plotter papers rolls” (which have a 2 inch core – the core is the hollowed out center which the roll is healed by the machine) . 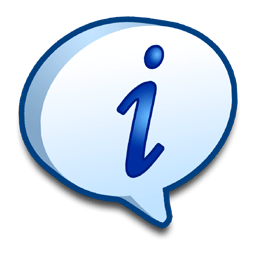 The Plotter Media Papers in Roll standard sizes for the “inkjet plotter papers rolls” are the 11″, 17″, 18″ the 20″, 22″, 24″, 30″, 34″, 36″, 42″ and for largest jobs you can find plotter paper rolls sizes 44″, 50″ 54″ and the 60″. Plotter Papers Rolls for 2 inch core Inkjet machines come in standard sizes of 150 fee rolls – 300 foot rolls (average sizes). Imagine the weight of those rolls when packed together. You can hear our warehouse agents saying. “Roll that skid of rolls over here“. That in itself is nearly not easy to gather a mental picture. Yet we grow up in society, programmed. If we were to see a stack of rolls tied together on a palette, “Papers Rolls” may be a good way to communicate what you see. Now we think about the 3 inch core Plotter papers rolls. Most commonly called “Engineering Bond” or “Engineering papers rolls” the first glance difference is the larger 3 inch core on both ends of the roll which is where the plotter papers roll is healed by the machine. Three (3) inches (3 inch core) was first used in Xerox plotter/printers. Rolls for a Xerox machine mainly used by Engineers for creating large amounts of Engineering Copies (hence the name of the machines used with this paper Engineering bond paper and the machines used have become called by today’s popular name “Engineering Copiers”. The 3 inch roll was a brainchild of Xerox yet today many companies make 3 inch core size Wide-Format copiers, printers and plotters and they have each picked up the American paper idea of large 3 inch core paper to go in those machines. Most of the plotter paper rolls we use today is all made in America by Americans and often the name brand of the company that made the machine which your office uses has purchased this standard size, quality, American paper and then they resell it to you often as the prime character that keeps your machine producing great prints. Here is a recap: Below are standard sizes and the amount of rolls that come per one box (or unit) for Inkjet Plotter Papers Rolls made in America and for use in all Inkjet 2 inch core machines. The best volume of architect papers sizes can be found in our Plotter Media Paper , our called Wide Format Plotter Papers. Wide Format Plotter Papers used on Plotter Papers Printers reaches around the globe. Reference: Plotter Paper Rolls Engineering Bond Inkjet CAD Paper Rolls Richard R.